The Rebel Sweetheart. : Ideas for the Kids this Summer. The kids have finished school and the joy of being free for the summer has slowly given way to the inevitable boredom that comes with unlimited free time but only a limited number of possible activities. If that sounds familiar to you here are some great ideas to keep the kids happy, and sometimes even learning, throughout the Summer. Firstly, let’s think history! The country is brimming with fantastic history which does not have to be housed in stale, old museums. Living history is hands on and exciting which is why it is the best history for the kids and two great examples of this are the Jorvik Centre and Warwick Castle. The Jorvik Centre is in York and houses a fascinating series of mock Viking villages and workshops filled with all the smells and sounds of the Viking Age. It is sure to open the minds of the kids and will surely entertain the whole family because, let’s face it, Vikings are pretty epic! Well, apart from all the pillaging of course. Also as you are already in York you can spend the day shopping, eating or visiting the other attractions such as York Minster and the Dungeons. 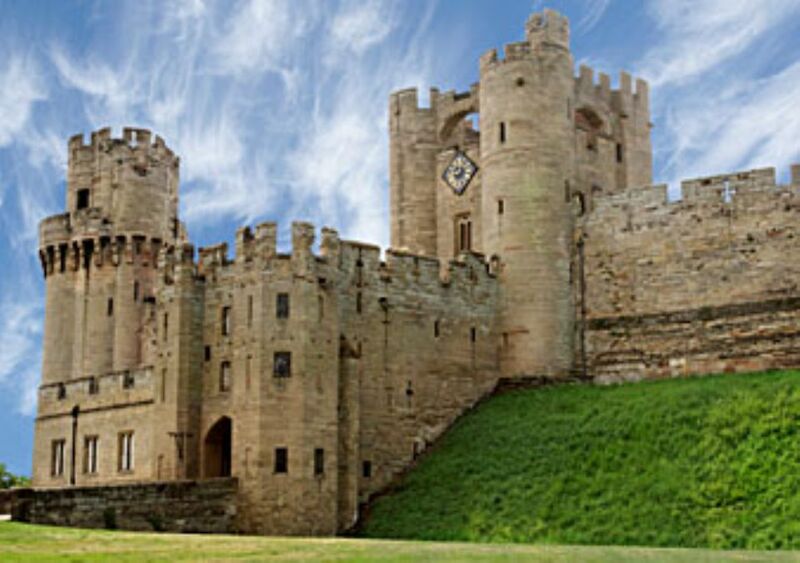 At Warwick Castle the well preserved structure is brought back to life through shows and events that illustrate its thousand years of history. Explore the deep, dark crevices of the castle, then catch a joust, watch the bird of prey show and round the day off with a hog roast while viewing the trebuchet fireball show! With more than enough to do and more than enough excitement it should keep everyone smiling. Moving away from the history we have the magnificent landscape, rock formations and waterfalls around the village of Malham in the Yorkshire Dales. The plunging gorge at Gordale Scar is home to a fierce waterfall which definitely leaves a memory. Then you can walk a couple of miles to Malham Cove to see an underground river surface from the bottom of the 80ft cliff. No child could possibly turn their nose up at the seemingly endless miles of fresh air and freedom – and it is where a part of Harry Potter was filmed! Speaking of the spectacled wizard wonder, a fourth great idea is the Warner Brothers Studio Tour. This tour takes you on a journey through the eight Harry Potter films, from the very beginning to the very end. With the chance to see the massive sets and all the costumes and trinkets amassed from over 10 years of production it is the perfect place for any family left spellbound by the boy who lived. All these are great ideas but it leaves the question of how to keep the kids occupied in the meantime? Well, you could get some designer gifts for the little ones which will be sure to keep them, and so therefore you, smiling. I would love to go visit this someday-but I really do not like getting on airplanes or boats! I know I would definitely enjoy that Viking Castle. I am a big fan of immersing children in local history and culture during the summer. It is a great way of keeping their brains sharp during the summer and hopefully even learning something without really knowing they're learning. Plus it can really help give them a sense of pride in the area they come from, which is always a good thing. I would love to see the Warner Brothers Studio Tour. It would be so cool to see sets and costumes from favorite movies! That sounds like so much fun! Harry Potter is my fave :) School is starting BACK for us next week! This summer has flown by! wow, so fun! love harry potter too. cannot wait for my kids to get into it! This would be a wonderful place to visit with the family! Unfortunately, I think an overseas vacation for our family of 6 is unlikely anytime soon. Will definitely keep this in mind if the opportunity every arises though. Our summer is coming to an end. The kids go back to school next week. When we do travel, I love visiting places with history.. I've been to the Warwick Castle and it's so fantastic just knowing that it's just how it used to be! Gives you some goosebumps somewhat!